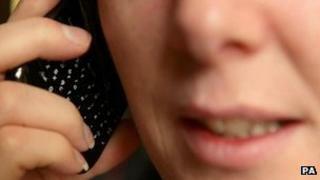 Image caption The Team Poison group were alleged to have made more than 700 calls to the hotline. Two teenage boys have been arrested in connection with an investigation into reports that hackers accessed Scotland Yard's anti-terror hotline. The Metropolitan Police said officers arrested the 16 and 17 year olds in the West Midlands. Earlier it had denied claims the confidential hotline had been hacked. Hackers Team Poison posted recordings online to YouTube, which apparently show them speaking to the hotline, plus officers discussing operations. The teenagers were arrested on suspicion of offences under the Malicious Communications Act and the Computer Misuse Act. A Scotland Yard spokesman said the pair, who were arrested by detectives specialising in e-crime, remain in custody in the West Midlands. Earlier the Met said the recordings had not come from an attack on internal systems but were made externally from the receiving handset. The investigation is unrelated to the ongoing probes into News International. Earlier on Thursday, after claims that the Team Poison group had made 700 calls to the hotline, Ailsa Beaton, director of information at Scotland Yard, said police remained confident their communications systems were secure and had not been breached. In a statement, she said: "The public can remain confident in the ability to communicate in confidence and that the integrity of the Anti-Terrorist Hotline remains in place."